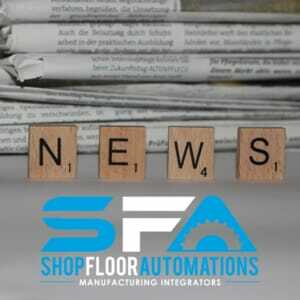 The following is an archived copy of our January/February 2017 SFA Newsletter. If you have taken the steps to invest in DNC Software for your shop floor, you also want to be sure these programs are secure and your manufacturing operation isn’t taken for a ride by hackers and other shady characters. How many new machines do you have that are just plugged into the network? Ask us about Secure DNC – a Windows application designed to be installed on Windows-based CNC machines, CMMs, test stands, and other equipment. It supports a wireless or wired Ethernet interface via TCP/IP. It eliminates the requirements of corporate domains, workgroups, or Windows Shares for DNC transfers. Further good news is that it supports older versions of Windows, which reduces the need for costly Windows updates on CNC machines. Read more about Secure DNC! Spreadsheets in the manufacturing industry have to be given the boot, for a number of reasons. Having a responsive program that can help you plan up to 365 days into the future for production schedules is a great step forward for your shop floor. We would love to help you transition to this technology. See more about our job scheduling solution JobPack!